Care Net’s Pregnancy Decision Line (PDL) is the nation’s only call center providing immediate pregnancy decision coaching to women and men facing pregnancy decisions. Our coaches don’t just do referrals; they work in the toughest situations, walking people through the life or death situation they are facing – to carry their child to term or to have an abortion. As you can imagine, this is not easy work. It is emotionally and spiritually challenging for our skilled coaches, who work every day to provide compassion, hope, and help to the abortion vulnerable. But rather than tell you even more about PDL, we are going to do something different. We are going to give you a glimpse into the day of one of our coaches. Through this special Q&A, you will see the heart of our PDL coaches, what motivates them, what challenges them, and how you can be praying for them as they do this God-honoring, life-saving work every day. We sat down with one of our PDL coaches. To protect her and her callers’ anonymity, we will call her Amber. Abundant Life Blog (ALB): What made you want to be a PDL coach? Amber: I realized that it is always helpful to help somebody keep their baby and so that's why I wanted to do it; because I know that it's always going to be a blessing to them to have a child. God always finds a way to bless those situations. ALB: How do you feel your job as a PDL coach contributes to Care Net’s Pro Abundant Life work? Amber: Because when we talk to people on the phone, we realize that it’s not just about saving the baby, but it’s about discipleship, fatherhood, motherhood, and marriage together. The people we talk to are hurting and lonely and we live in a very disconnected society, so people are trying to do things on their own. But there's a reason that God brought the baby into their lives, so we try to help them understand His love, knowing that he has good plans for them. ALB: What's the highlight of your day? Amber: Honestly, what comes to mind is that I love talking to my co-workers and hearing their hearts and hearing the different ways that they've ministered to the people on the phone. I love encouraging them and supporting them. As far as on the phone, I think the highlight would be hearing people start to open up and knowing that they feel safe and they're just being real. I may be talking to them about the fact that they feel like nobody loves them or that they're worried that God really doesn't have their best in mind. So people open up. It happens in every encounter where you are planting seeds, but we're also, with God's help, like ripples in a pond. Just those short relationships that we're developing can have a lifetime impact on who they believe God is, how they see themselves, and the way that they communicate with each other. And that affects how they talk to the father of their baby, or how they talk to their children. ALB: For how many of your clients are you the first encouraging or stable voice that they've heard? Amber: I'm often surprised by some of the things that people say to me, like one person said, “I just don't think anybody loves me.” And then another person I asked, “Who do you have in your life that's praying for you?” and they said nobody. Sometimes I have the parents [of a pregnant woman] on the phone talking bad about their kids. But I accept that person too because underneath, that could be a lot of pain and sometimes people say extreme things because they want to know if it's a safe place or if they're going to be heard. ALB: How do you find the strength to do this job? Amber: I find the strength because God continually humbles me in my own personal life, so I'm just constantly reminded of the fact that I'm on a similar path with my clients. I just find the strength knowing that we’re all the same and that God is allowing us to connect to him and each other. And with my co-workers, it's important for us to acknowledge together that this work is emotionally taxing and that it doesn't mean that we’re not strong enough, or that we’re not the right people. So being really open with each other and talking things out with them – that gives me strength. ALB: An amazing story you’d like to share? Amber: One caller I had was newly pregnant and she wanted to have an abortion. She needed to get an ultrasound, so she got one and it turned out that she was 9 weeks pregnant instead of 5 weeks, which is what she thought. And in the ultrasound, she said, “Wow, this is my baby. It seems like the baby had his hand up to me and was, like, “protect me, Mom.” But she still said to me that she just had to have this abortion. So I told her we would talk about the abortion procedure options, and so I shared about the suction procedure where the baby's body is pulled apart, and I only remember that because she said it back to me and she said, “What? The baby's body gets pulled apart?” And I said yes, and she said she didn't know that and so she ended up not having the abortion. She ended up having her baby. 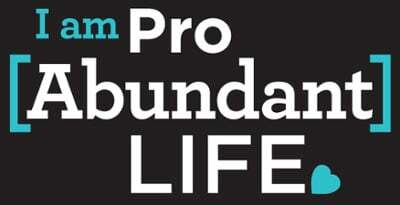 ALB: How did did this job change your perceptions about the situations,the circumstances, and the mindset of women and men considering abortion? Amber: Well, I used to think, “They just must be having a really hard time and just aren't thinking straight, or they need somebody to help them out.” But I’ve learned that the depth of the deception that people have in their heads is a lot more than I thought it was. So we're really pulling apart so many issues that are going on with them, and trying to figure out which one to focus on, and what is the root thing motivating them. You know the saying that in every myth there's truth; so people say things like, “it would be irresponsible to have this baby because I don't have the ability in my life to raise this child.” Well that seems smart and you can say, “oh yeah, you're right.” But often people don't have any type of compass, so we’re trying to help them see the bigger picture and consider what God has for them that can actually make their choices easier if they are willing to take the risk of trusting him. Amber: We have lots men call for many different reasons. We have some who say, “Please help me. She wants to have an abortion and I don't believe in it, and what can I do?” And men who are crying and saying, “Nobody asked me how I felt.” And when I tell them women have the legal right to choose abortion, they say, “There’s nothing I can do?” They are just desperate. And then there's other men who are trying to step back and think it through logically and asking, “Okay, what can I tell her that will help her rethink this?” Some are really struggling saying, “I really care about her but I don't want to pressure her. I don't want to influence her because it would be wrong, but I do want this baby, but that's not my place.” It’s a real struggle for them. Often, their voices are shaking and we’re just trying to make it a safe place so that there's no pressure on them to be a certain way. We try to affirm his desire to care for her and help him understand that there is a risk to her and that she really wants his input. So I think he benefits from having a perspective that’s encouraging him to go to her and share what he's feeling. After all, we know that women consider the father of their baby the most influential factor in their decision to abort or not, so it is important to reach him. ALB: Why is it important for PDL to exist? Amber: We are meeting people right in the middle of their decision-making process. They're considering abortion, and so we're talking to them right in the middle of that process and we're reaching so many people because everybody's Googling and looking for information. We are right there at that critical moment of decision, and whoever they talk with on the phone will have a huge impact. They could call Planned Parenthood and are told “Everything will be fine, don't worry about it. You just come in this day, and you're good to go.” But if they talk to us, they're going to actually be able to talk things out and you look at all their options. Also, it's anonymous. One of our coaches said that she thinks that people are so real and open about all their issues because they're on the phone and can't see you; and there's no judgment. You don't see the person, you just hear their voice, so there's so much more room to move the conversation forward. People can be anonymous, they can be intense, they can be real. ALB: What’s the hardest question or comment you’ve ever gotten? Amber : There are so many. Those are just a few of the toughest ones we hear. ALB: There is a discussion amongst pro-life people that we just need to show these women and men that it's a life; that if they truly understood and they saw the ultrasound, if they just knew this was a baby, they wouldn't have an abortion. But is that what you see in talking to people or are there other issues that need to be addressed in order for that life-affirming decision to be made? Amber: Yes, there are definitely other issues. 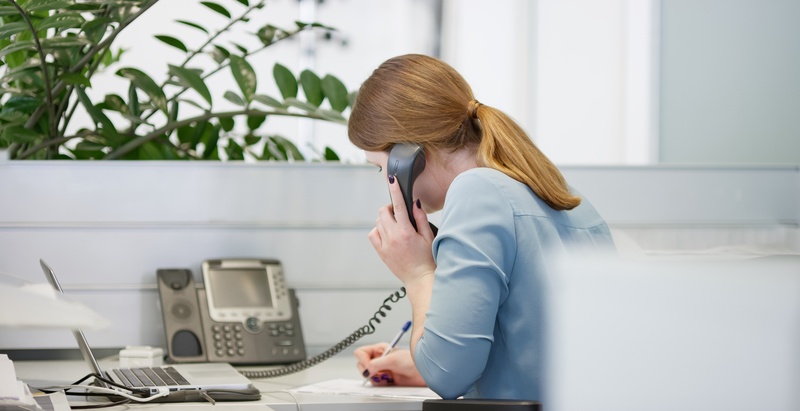 Many callers know it’s a life, but that it's a life worth sacrificing. So they rationalize it and their reasons could sound good to anybody. Sometimes they say finances and then when you talk about it, it's really not even finances. Or you'll hear a woman say that the father of the baby has nothing to do with her decision, but then a few minutes later she laments that he doesn't want to be a father or says, “I don't know what kind of father he's going to be.” So, it’s usually other issues. ALB: How can our readers pray for you? Amber: There are all kinds of attacks that go on to try to keep us from doing our work. And there times I get on the phone and I feel I have nothing to give the callers, or I'm struggling with something. But it's those times that push me closer to God, because for me the way that I'm created is that other people motivate me, and as long as I'm not idolizing other people, God uses that to push me closer to him. So I tell myself, “These callers are in a lot of need, so God help me give them what they need.” So, we’d ask for prayer that we would trust God and that he would work through us. Also, I was just talking to one of our other coaches, and she had tears in her eyes and she's not a teary person. And she was saying, “It’s just overwhelming.” So, we’d ask for prayer that we would have the strength to face these very difficult situations with love and grace. For protection of our hearts and to be shielded from darkness.